I love how he's blurry in every photo. He's like a little hurricane! I also love the last photo where he's looking like, "Who me?" Caught in the act, little guy! My baby is the same age and does the same thing. Everything neat and organized is first on her 'to destroy' list. Funny! I babysat my neighbors kids (3 of them) they wanted to come over to our house to play with the dog. Age of children 6, 4 and almost 16 months. 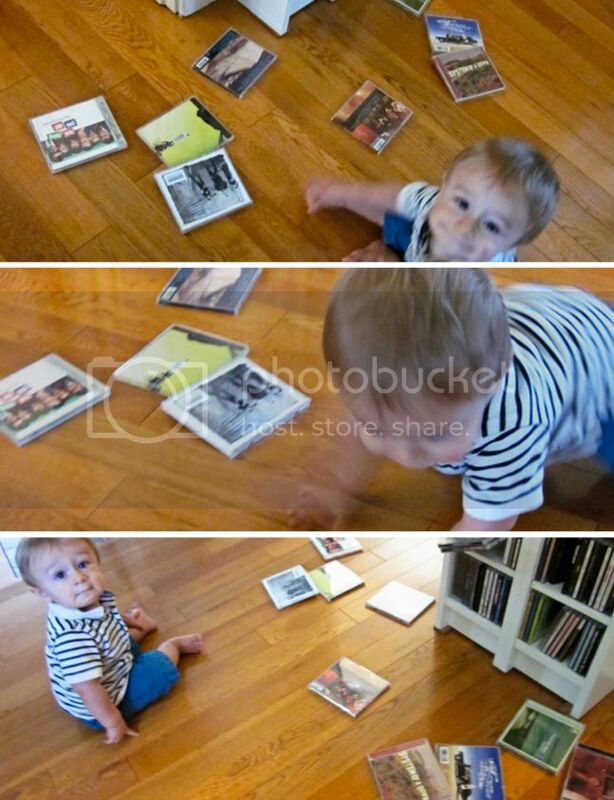 The 16 month decided she wanted to get into our dvds too... I now realize why people lock up or hide their dvds/cds. Good luck to ya! 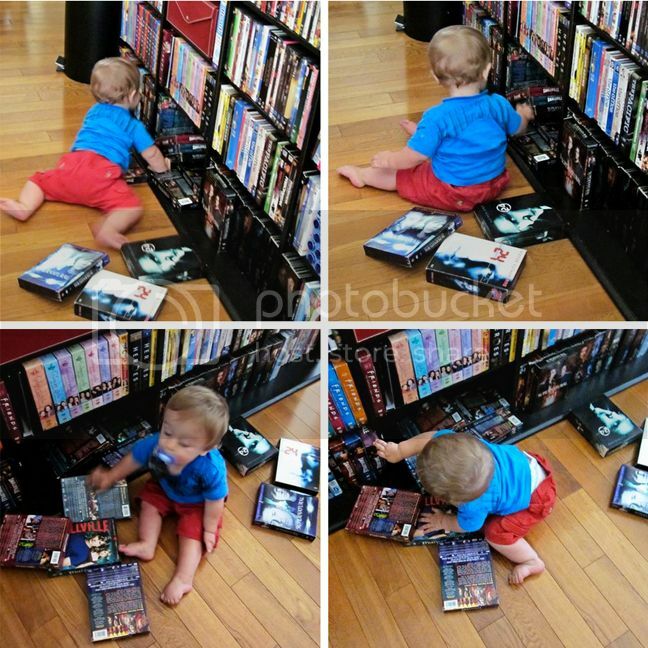 Why do they love DVD's so much! They're like baby magnets. oh i love it! i think it's so cute when they start getting into things :) as long as their happy, right?! LOL, thanks for the smile! Now my question...what are p;lanning on doing with all those toys?...errr...videos? Too cute!!! We have a similar shelf with a ton of movies just like that. We blocked off that area once Alex started to move around. That shelf was off limits. Now, at 3 and a half, he plays around it and does't touch a single thing. The entire Gilmore Girls series AND the That Thing You Do soundtrack?!?!?! Fox is just a cutie!